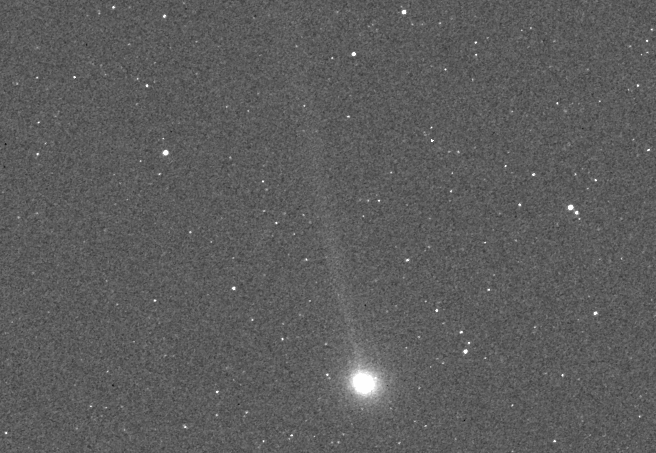 While many skywatchers, scientists, and astronomy enthusiasts around the world wait to see if comet ISON survives its perihelion — that is, its closest pass by the Sun — on Nov. 28, the MESSENGER spacecraft has captured an image of the incoming comet from its position in orbit around Mercury! The image above, shared today on the MESSENGER website, shows ISON from a distance of 22.5 million miles, and just over 42 million miles from the Sun. At perihelion ISON will come within a scant 730,000 miles of the Sun. Whether or not it survives its Thanksgiving Day encounter has yet to be seen. MESSENGER had actually first imaged ISON on Nov. 9. At that point it was just a barely-visible fuzzy spot. 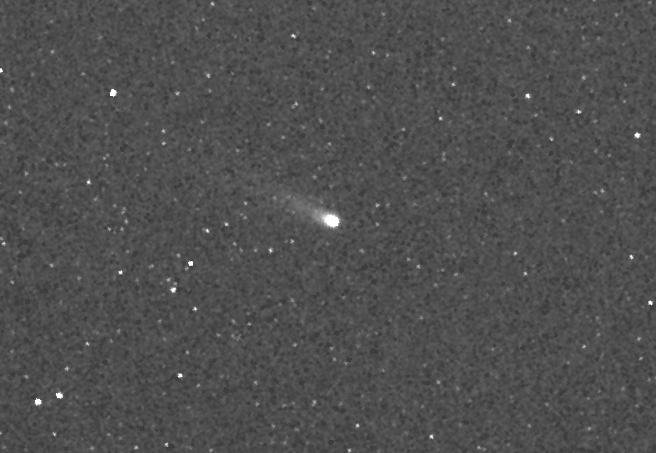 By the time the image above was acquired on Nov. 20 ISON had enlarged dramatically and its tail had become visible. In addition to ISON, the periodic comet Encke was also captured by MESSENGER. Encke reached the perihelion of its 3.3-year-long orbit around the Sun on Nov. 21. Encke is a very well-known comet and will return in another three years; ISON, on the other hand, has never visited the inner solar system before and there’s a chance that, even if it survives perihelion, it never will again. It’s also important to note that a planetary-research spacecraft like MESSENGER is not made to spot comets, yet it did so beautifully. Check out those tails! Flapping in the solar wind “like wind socks,” according to The Planetary Society’s Emily Lakdawalla during a comet-themed Hangout earlier today. Read more about this in my article on Universe Today here. I was at the Messenger site only a few days ago. What a large change in brightness.